SOS promotes housing stability and family self-sufficiency through collaboration, care and respect. SOS Community Services is a community-based nonprofit. We are dedicated to preventing and ending family homelessness in Washtenaw County through partnerships with caring individuals, local businesses and organizations, social service agencies and professionals. 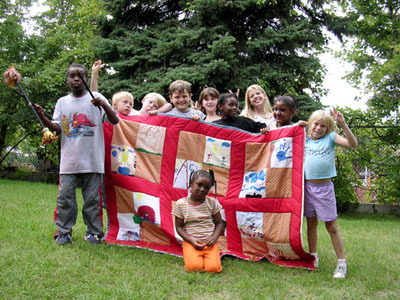 We provide integrated services to homeless families, children and youth. And we directly serve 7,000 people annually, including families, individuals, and children, with comprehensive services that move them from homelessness to self-sufficiency and permanent, stable housing. The organization has changed and developed over the years, but one thing has never wavered: SOS Community Services has continued to meet the current community needs. Today, SOS Community Services is committed to offering assistance to families who are homeless in a caring and non-judgmental atmosphere. We believe that services are enhanced by being inclusive and respectful to all people. We seek to build on the strengths of the families we serve. Each family is responsible for their own personal change, as they work with staff to regain housing stability. We believe that secure housing is essential to empowering families to resolve other challenges in their lives, and that families that start on the path of housing stability can find home. For more than 45 years, SOS Community Services has been a caring source of help in Washtenaw County. 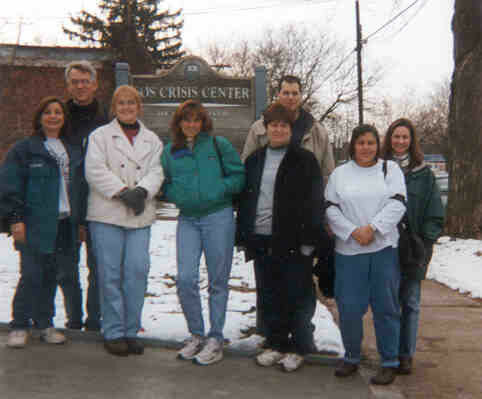 SOS was founded by a small group of student leaders and faculty at Eastern Michigan University who saw a need for drug-related crisis intervention and wanted to help. When SOS moved off campus to River Street in Ypsilanti in 1973, it began to serve the community at-large, providing food, shelter, and a safe, warm place for people in need. 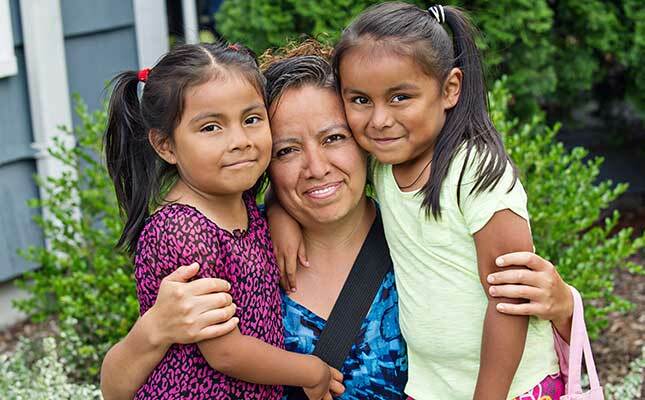 As the economic outlook in Washtenaw County changed in the 1980s, SOS Community Services began to take a central role in directing services toward families struggling with housing hardships. Today SOS continues to provide resources to community members, along with housing and supportive services to families. 1970: SOS (“Students Offering Support”) is founded by students and faculty at Eastern Michigan University. Volunteers help their peers through a 24-hour crisis line, walk-in services, referrals, short-term counseling, suicide prevention, and emergency food. 1973: SOS moves to 114 North River St in Ypsilanti. Services are offered to the greater community. 1980s: SOS responds to community needs and develops new programs to help clients gain job skills. 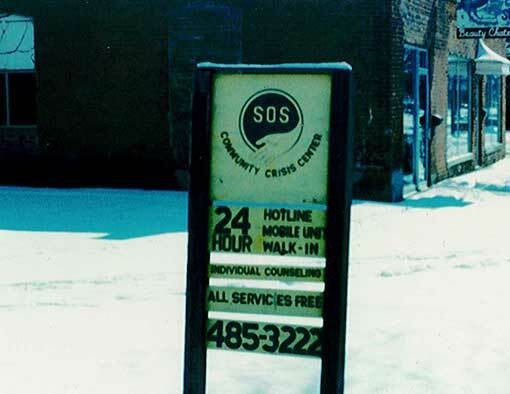 1983: SOS starts directing services toward families and individuals in need of help with housing and rent. 1985:SOS creates the “Washtenaw Affordable Housing Initiative” to engage the community in response to homelessness and the need for affordable housing. 1988: SOS opens Prospect Place shelter for homeless families. 1990: The organization begins to offer scatter-site transitional housing for homeless families. 1995: SOS begins to offer programs for homeless children. 2010: SOS celebrates its 40th Anniversary by hosting its first annual signature fundraising event, now called Road to Home. 2011: A new partnership begins between SOS and Ypsilanti Housing Commission to help public housing residents access employment, education, and other resources through the ROSS(Resident Opportunity for Self-Sufficiency) program. 2014: SOS adopts the new national model for housing families called Rapid Re-housing. Also, the food program is converted to a Choice Food Pantry so people can select their own food. The amount of fresh produce distributed is scaled up through partnership with Food Gatherers. 2016: SOS begins a new program in collaboration with Ann Arbor Housing Commission to prevent evictions for Section 8/Housing Choice Voucher families in Washtenaw County.